Governors of the 19 Northern States have disowned a coalition of Arewa Youths, who reportedly issued ultimatum to Igbos to vacate the northern part of Nigeriawithin three months or be forced to leave. 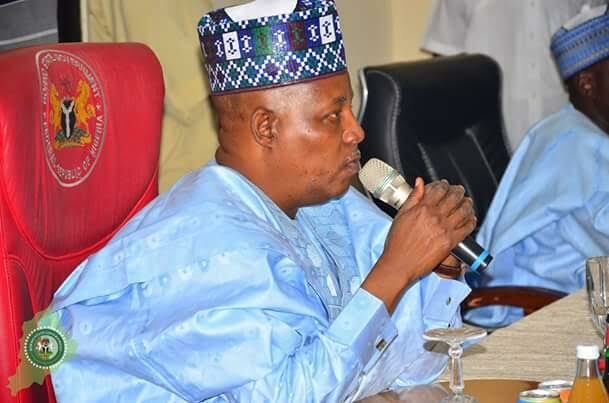 ‎Borno Governor and Chairman of the Northern States Governors' Forum, Kashim Shettima spoke on behalf of his colleagues in Maiduguri on Wednesdayevening. The Governors said they are in touch with heads of their security agencies and have taken measures that will guarantee the rights of all Nigerians to live in the 19 States in the thre geo-political zones within the north. The Governors also called on security agencies to arrest the youths and probe the motive behind the call, saying the call by the youths was a suspicious act that falls in line with recent trend of arms catch, coup rumours which may not be coincident. "On behalf of the Governors of the 19 Northern States, we totally condemn such irresponsible pronouncements by those groups, we condemn, we disown, and we are totally distancing ourselves from those faceless groups who don’t have the mandate of the people of Northern Nigeria to make such loud pronouncements." Governor Shettima said. "Section 41, Subsection 1 of the Constitution of the Federal Republic of Nigeria is very explicit in safeguarding the rights of all Nigerians to reside in any part of the country with no hindrance whatsoever. But then, ‎when you see a toad dancing in the broad daylight, the drummer is not far off from the main road. We wish to call on the security agencies to beam their lenses on these groups, and unearth the faces behind the mask. Some months back, there were cases of importation of arms, illegal importation of arms intercepted at the ports, then we started hearing rumours of a coup d’etat. "Now, a group, or a bunch of groups that do not have the mandate of the people came up with remarks capable of destabilizing the north and the country as a whole. We are one nation tied to a common destiny, the governance of Northern Nigeria is not in alignment with those pronouncements, and we will take whatever measures that is necessary to safeguard the lives and properties of Nigerians living in any part of the North. I am in contact to most of my colleagues, and they all talking to heads of security establishments in their respective domains because we cannot afford to take chances. We cannot afford to toil with the destiny of this country. "The 19 Northern Governors wish to call on our brothers of Igbo descent to remain calm and go about their legitimate businesses. Nobody can dare to intimidate, harass or dehumanize them in any of the 19 Northern States, our Governors will not allow that" Shettima said.